Everything about this bike is rather intriguing; from the weird shape it gives the person while riding it, to the mechanics of how it works, and the mesh seat design. These bikes are designed like this in an effort to bring about efficiency whilst riding. They are efficient and have a lot of health benefits to them and are also mostly designed with aerodynamics. The truth is as opposed to regular (upright) bikes, recumbent bikes puts a lot less stress on your body as your body weight is more evenly distributed throughout therefore making it a lot more comfortable to ride, hence the riders always seem to look completely relaxed. There are quite a few things to take into consideration when choosing a recumbent bike; the specific budget that you are looking at, your weight and height, the level of your fitness, as well as the type of riding styles that you prefer. The great thing about recumbent bikes is that they are fairly easy to ride, hence you can ride one immediately. Another good thing about recumbent bikes is that they can also become stationary and act as an exercising machine for your at home or off road convenience. Let’s take a look at some that I think are the best for exercising. Of all the recumbent bikes that we reviewed, our top pick is the Exerpeutic 900XL Extended Capacity Recumbent Bike with Pulse. We absolutely loved its performance compared to the price. This recumbent bike is a good fit for your home as this is a stationary bike that offers a good workout without causing you to put too much stress on your body, specifically your back and joints as well. 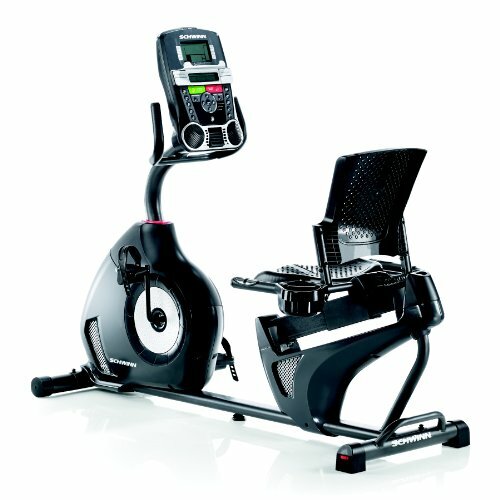 If you are really health conscious and is big on tracking you calories, your heart rate information, the speed at which you are operating the bike and time as well, then this recumbent bike is a good fit for you as it comes with a LED screen that shows this information which is actually pretty easy to read. Whilst your choice is limited as it only comes in one color (gray), there is an absolute ease with which this bike is assembled. It is pretty easy to use and comes equipped with eight different tension levels that ultimately allows you to customize each time you ride, thus setting yourself different challenges if need be. In comparison to other recumbent bikes that are similar, I would say that the price of this product is affordable. This recumbent bike offers a good bargain when performance vs. price consideration is taken into account. Not only is it convenient but fairly easy to set up and adjust, plus the option to customize your ride is a bonus as well. Overall this is a good buy. Talk about beast! This advanced and powerful recumbent bike offers you a total workout right from the comfort of your home. Tracking your workout has never been as easy and modern on a recumbent bike as the manufacturers connect goal tracking and data export allows you to keep track of your progress fairly easy. Additionally, the monition is a dual two track LCD window system that tracks almost everything thus giving you up to 13 different displays, ensuring you know whether you are on top of your game or not. The 230 model is one of three models produced by the manufacturer and has a modern feel to it as the charging USB port and data exchange mechanisms can attest to. This bike comes with 20 different resistance levels, and because of the high speed wheel, your workout remain a smooth one no matter what level you are operating at. The machine is however, a bit highly priced, but considering its features, it is worth it if your budget is in that sort of range. This machine is very user friendly and represents style and comfort. Its ability to allow you to export your data along with the information displayed on the screen whilst riding does not only challenge you but it keeps you up to date with your progress. Whilst it is a bit pricey, I would say that this machine is worth it. If it is that you are strapped for space as well as wanting to probably transport this bike around with you, then this is just the product for you. This bike comes with a frame that is foldable thus enabling easy storage after use. Additionally, it comes with a display feature that allows you to track your information while riding. Whilst operating on a magnetic resistance, this machine also comes with 8 tension levels thus giving a good workout. 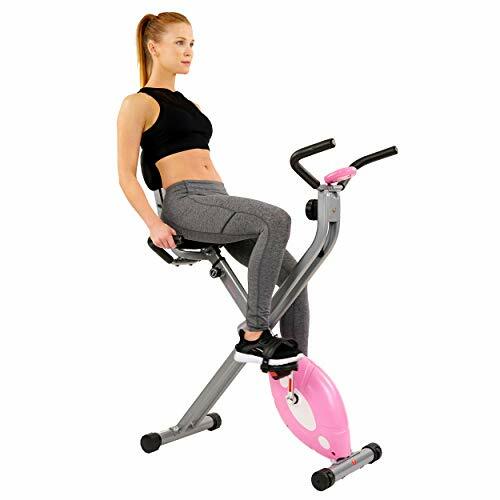 This model is one in a long line of about 6 models offered by the manufacturer and the price makes it a bargain as it show that you can complete a good workout session on a limited budget, as it comes in a fairly low price. This is a low end recumbent bike that gives a good workout. If you are in a small flat, then this is a good fit as it is easy to store and does not take up a lot of space. Whilst it is not overly big on features, it does a good job and for the price on offer, if is pretty much a good deal. For me the best product on offer here in terms of performance vs. price ration is the Exerpeutic 900XL Extended Capacity Recumbent Bike with Pulse. Whilst the Schwinn 230 Recumbent Bike may be a bit more sophisticated and modern, truth is there is not a lot more that it can do more than the 230. The Sunny Folding Recumbent Bike on the other hand is a low end bike that also gets the job done. But for me the 900XL is the best choice here followed by the 230. Top Gifts for Fitness Freaks Workout at Home– 2018! 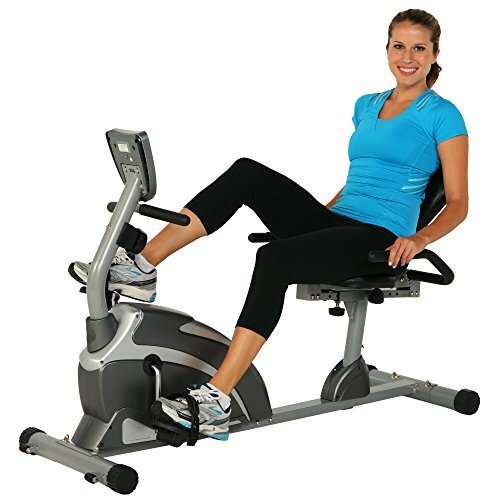 ExerciseBikeJudge.com is a participant in the Amazon Services LLC Associates Program, an affiliate advertising program designed to provide a means for sites to earn advertising fees by advertising and linking to Amazon.com. Amazon and the Amazon logo are trademarks of Amazon.com, Inc or its affiliates. Copyright 2018 by Exercise Bike Judge.